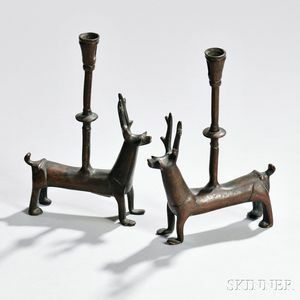 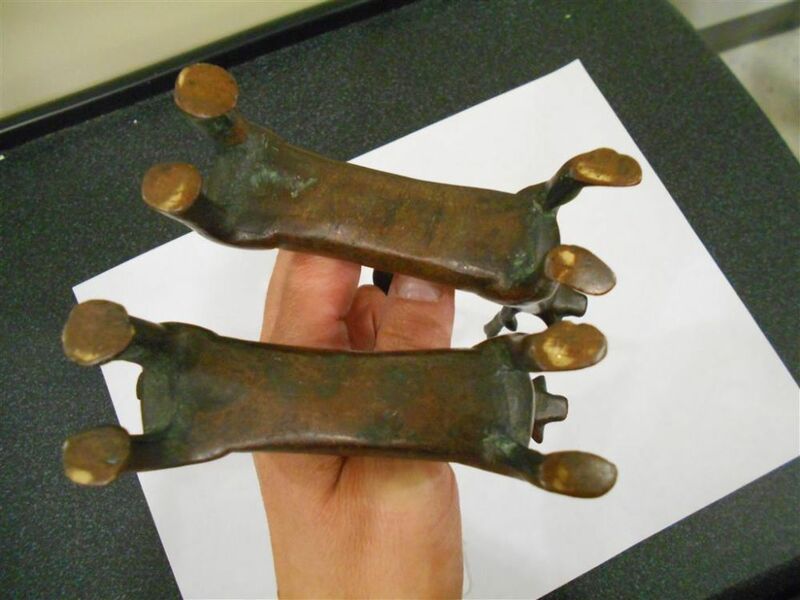 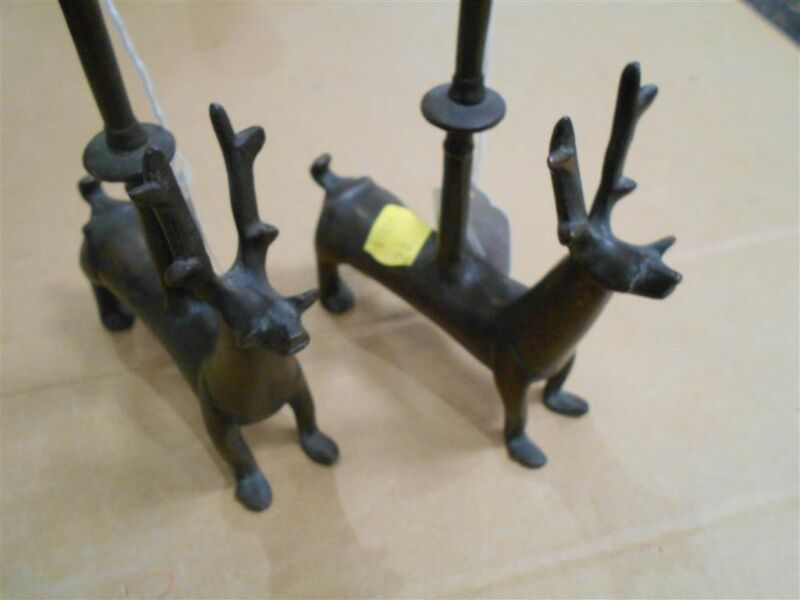 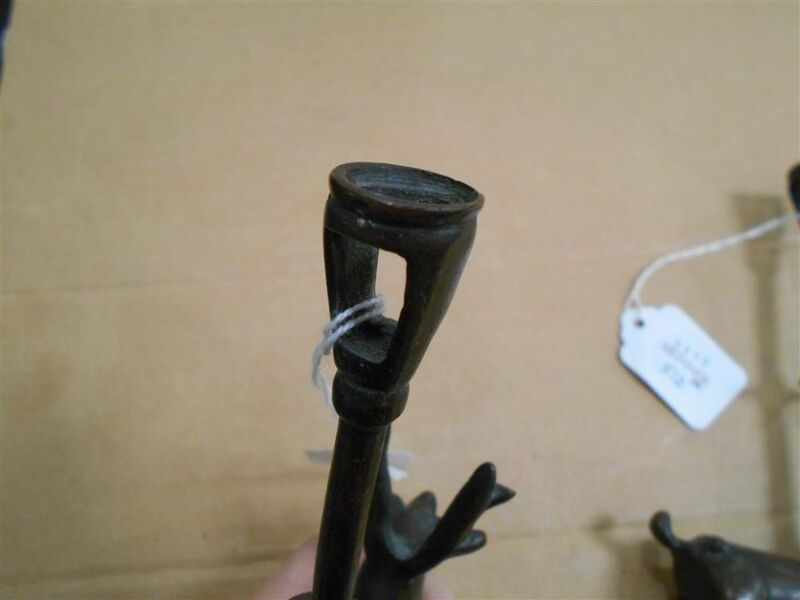 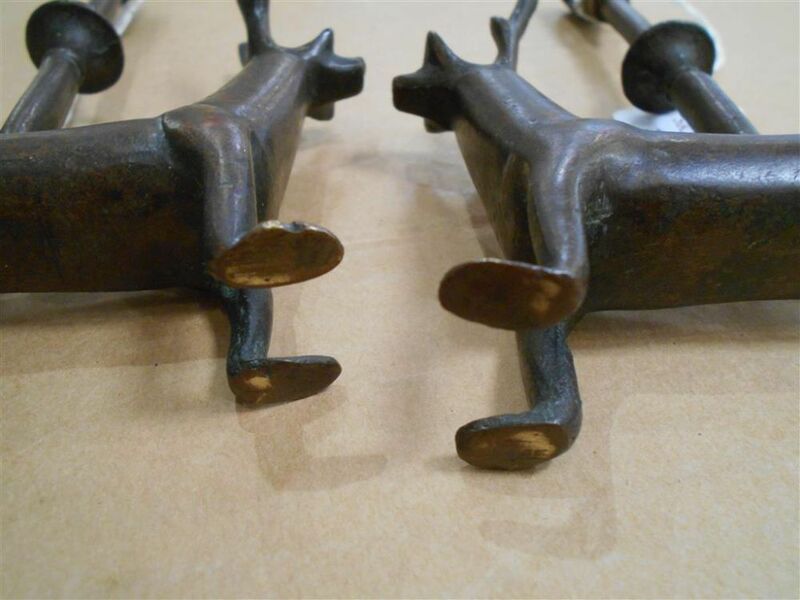 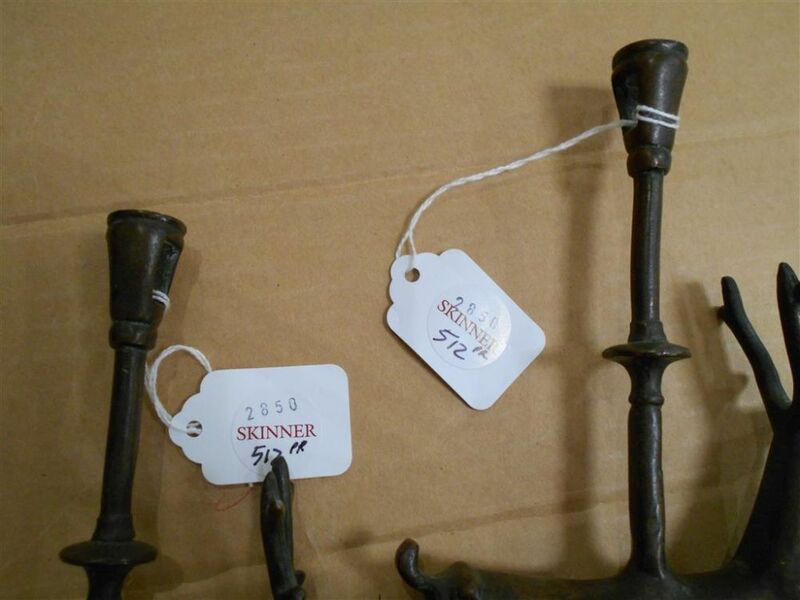 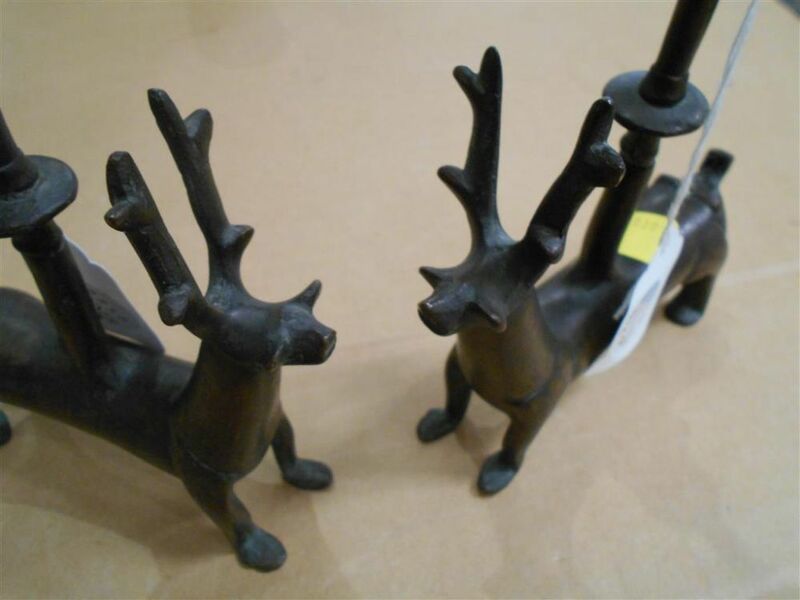 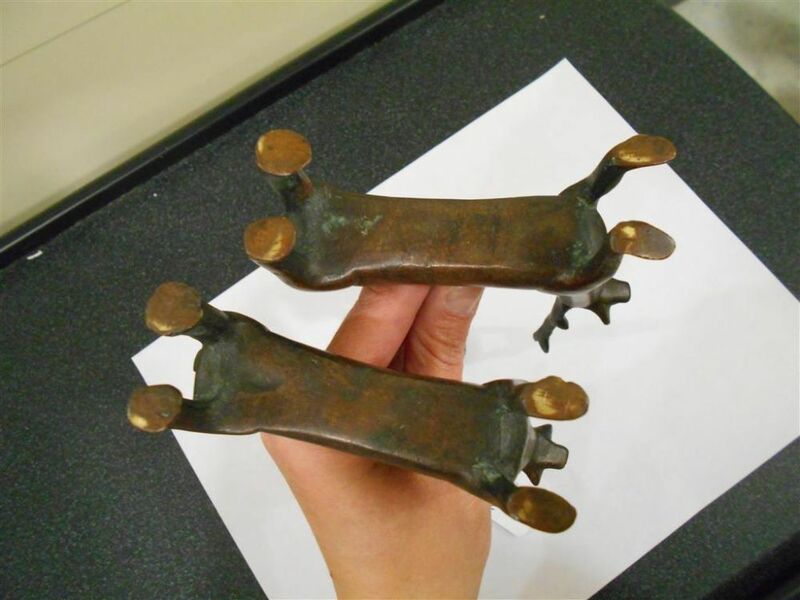 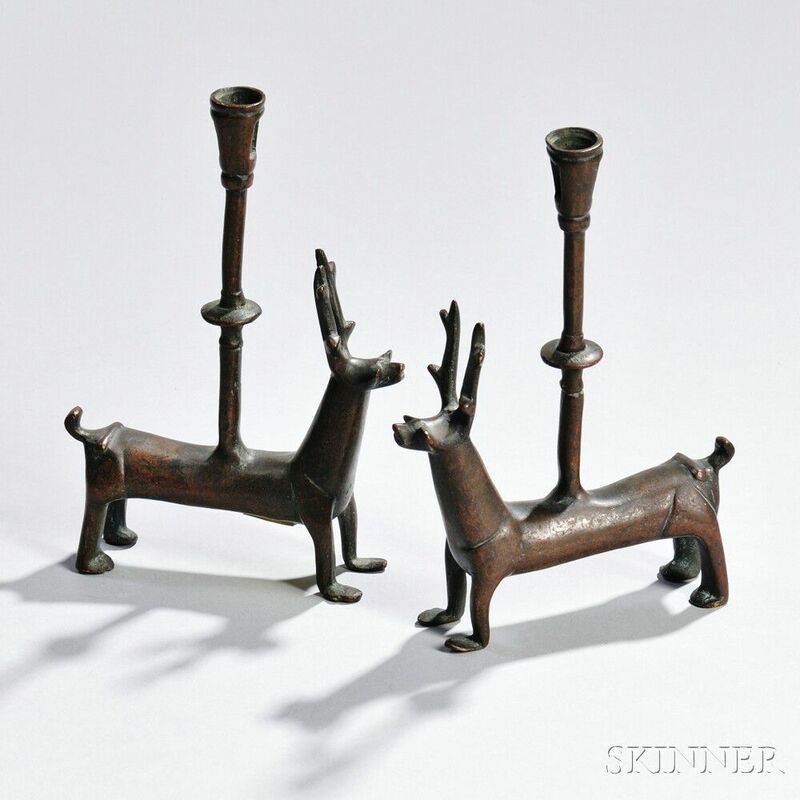 Pair of Mediterranean Bronze Candle Holders, Continental, each with stag with notched antlers, supporting narrow basket-shaped candleholder on its back, ht. 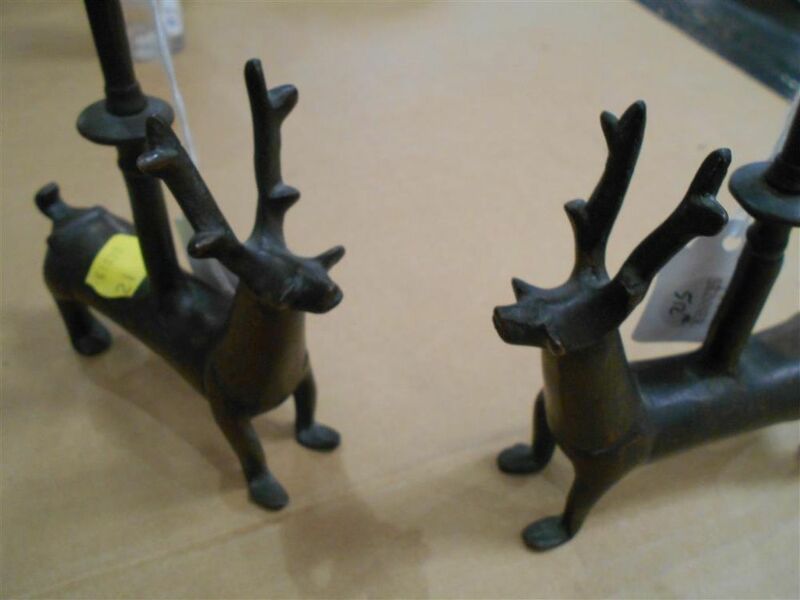 6 5/8 in. 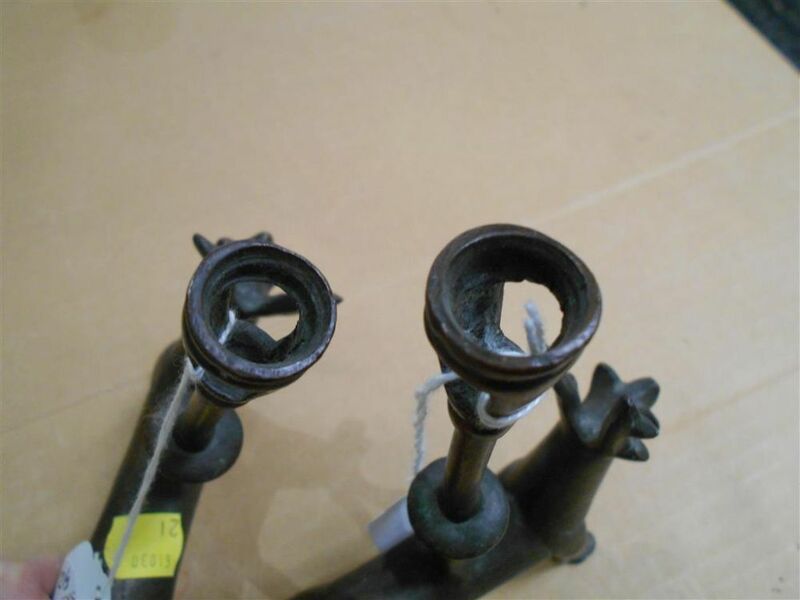 Signs of wear to surfaces, with rubbing, some nicks and abrasions.